This is a scalable context timeline. It contains events related to the event November 5, 2002: Wolfowitz Confirms US Carried Out Missile Strike in Yemen. You can narrow or broaden the context of this timeline by adjusting the zoom level. The lower the scale, the more relevant the items on average will be, while the higher the scale, the less relevant the items, on average, will be. 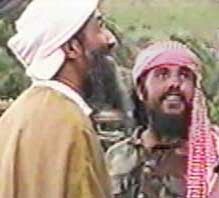 Nabil al-Marabh returned to Canada from Afghanistan in February 1994 using a fraudulent Saudi Arabian passport. But his request for asylum was eventually denied. He then enters the US in June 1995 and applies for asylum there. That too is denied, and he is ordered deported in 1997. But the order is not enforced and he continues to live in the US and Canada illegally until 9/11. [Canadian Broadcasting Corporation, 10/22/2001; Knight Ridder, 5/23/2003] Al-Marabh moves to Boston and gets a job as a taxi driver. He had known al-Qaeda operatives Bassam Kanj, Mohamad Kamal Elzahabi, and Raed Hijazi in training camps in Afghanistan (see Late 1980s; 1989-1994), and this group of four regathers in Boston. Kanj has been there since 1995, driving taxis at the same company that hires al-Marabh. Elzahabi moves to Boston from New York City in 1997 and also gets a job at this same taxi company. There are conflicting accounts as to who brings Raed Hijazi to Boston and why he goes there, but by the beginning of 1998 he is also working for this taxi company. [Boston Globe, 2/5/2001; New York Times, 9/18/2001; New York Times, 10/14/2001; Washington Post, 9/4/2002] Al-Marabh and Hijazi are roommates for at least two months. While they work together driving taxis, Hijazi is saving his earnings to spend on bomb plots and is working on an al-Qaeda plot to attack a US warship. That plot will develop into the attack on the USS Cole in 2000. [ABC News 7 (Chicago), 1/31/2002; Washington Post, 9/4/2002] Around the end of 1998, Kanj and Hijazi leave Boston to work on al-Qaeda plots overseas while Elzahabi leaves in 1999 to fight as a sniper in Chechnya. Al-Marabh will also leave, moving to Florida in early 1999 (see February 1999-February 2000), but he periodically returns to his Boston residence for some time, as his wife and son continue to live there. These four men will continue to help each other in various al-Qaeda plots. [Boston Globe, 2/5/2001; Boston Globe, 6/26/2004] Apparently, al-Qaeda recruiter Kamal Derwish also works at the same Boston taxi company, though the timing is not clear. He trained in Afghanistan in 1992, a time when al-Marabh was also there. He will be killed by a US missile strike in November 2002 (see November 3, 2002). [Christian Science Monitor, 5/23/2003] Even though the Boston FBI is aware long before 9/11 that at least four of the men are connected to al-Qaeda (see January 2001), the FBI will officially deny the possibility of any al-Qaeda cell in Boston until 2004 (see June 27, 2004).